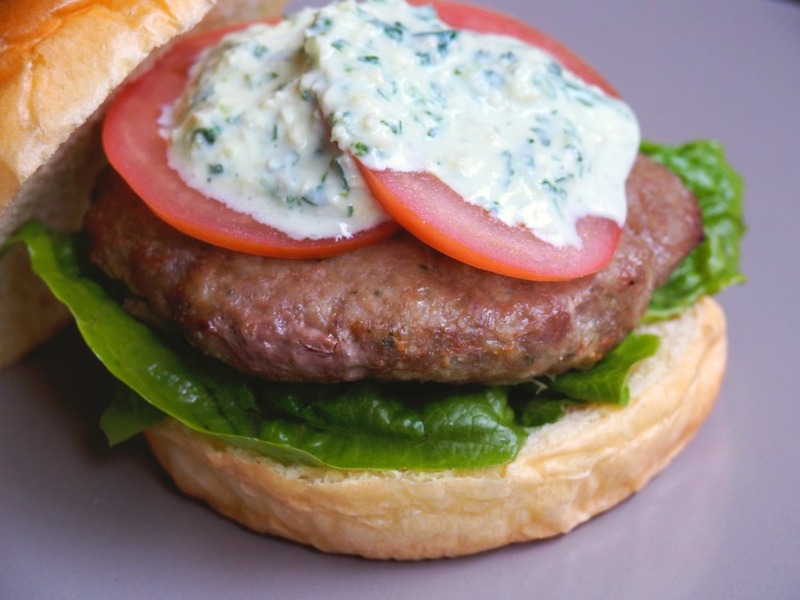 Give burgers a healthy twist with this simple but delicious recipe. I love a good burger as much as the next person but if there was a prize for World’s Worst Griller, I’d be in with a good chance. In theory I should be a champion griller as I spent a few years working in McDonalds both at home and abroad. Clearly, my grill skills weren’t great then because I always found myself at the french fries station although at breakfast I did learn to scramble eggs like a boss! 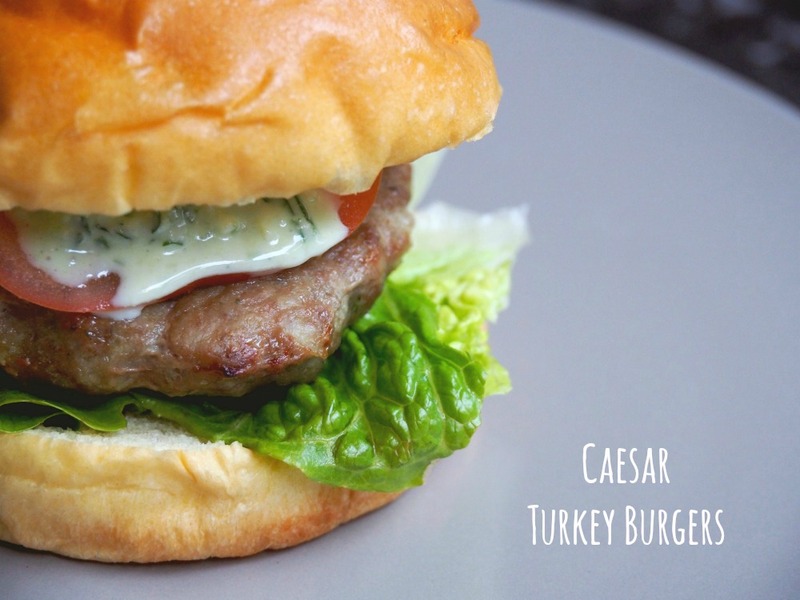 Even I can make these delicious burgers and by swapping turkey for beef and oven for the grill pan, they’re not just easy to make, they’re delicious to eat too. The patties are super juicy and with the value added parmesan and seasonings, they are also super tasty. 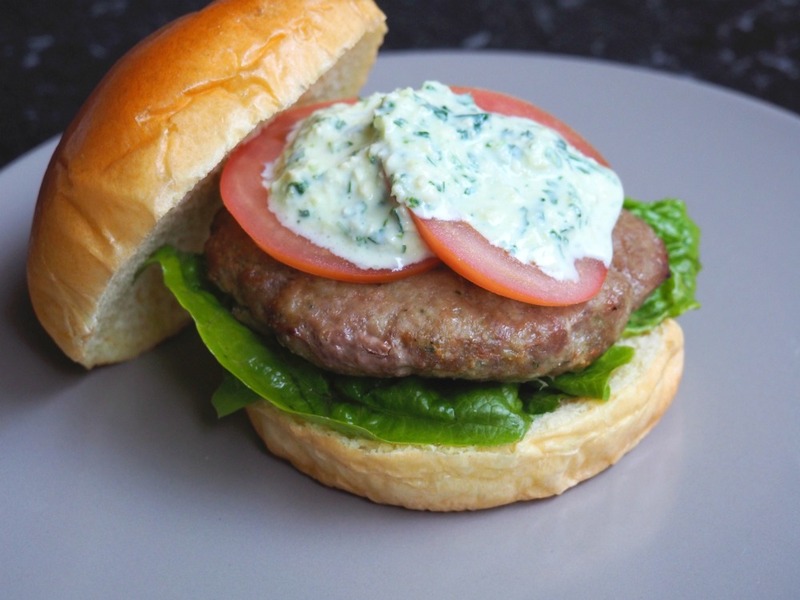 The yoghurt dressing is also delicious and takes the burger to the next level. 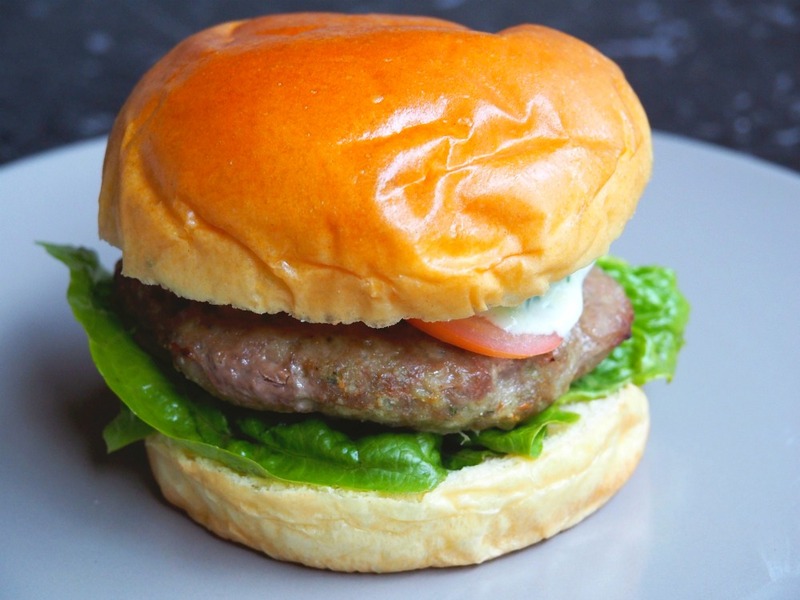 I can never say no to a brioche burger bun but for a healthier option, you can swap the bun for a lettuce wrap, the crunchiness of the leaves goes great with the meat and the dressing. Nom nom! Do you have a favourite type of burger? Do you have grill skills? Heat oven to 200C. Line a baking tray with baking paper. Heat the olive oil in a small pan, add onion and cook on a gently heat until softened. Allow to cool slightly. Mix together the garlic, lemon juice, the cheese and parsley. Put half in a small bowl, mix with the yogurt and set aside. Mix the other half in a large bowl with the mince and onion, then season well. Shape into 4 patties and place on prepared tray, then cook for 25-30 minutes, turning half way through cooking. Bake the burgers until cooked through. 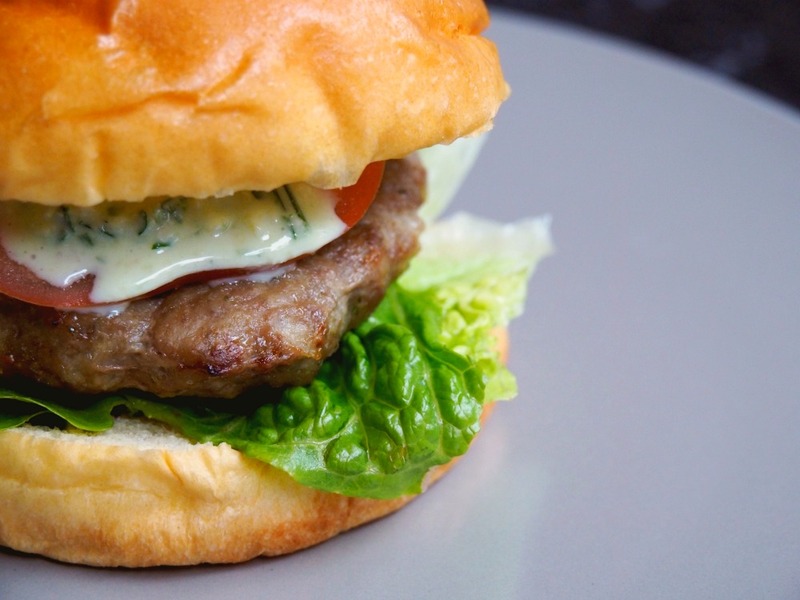 To assemble, place the burgers in the buns with some salad and a few tomato slices. Serve the burgers with any leftover salad. TIP! Uncooked burgers can be frozen.